Experience freedom on the water…. Feel the strenght of the wind, blowing in the sails and making the ship go forward! Experience the freedom on the water and let your worries fly away with the wind! 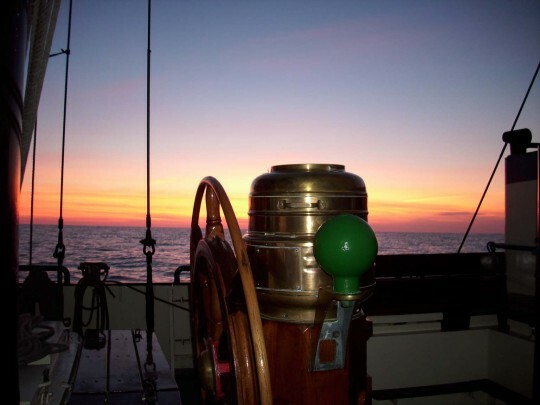 Help to hoist the sails, hold the wheel, read a book or watch the endless horizon…..you’re free to chose…. We welcome you aboard our professionel sea sailing ship Oban! Aboard the Oban we combine traditional sailing with the comfort and the safety one can expect nowadays. Everything is possible, a weekend or a fortnight at sea, by yourself, with a friend or the whole family. 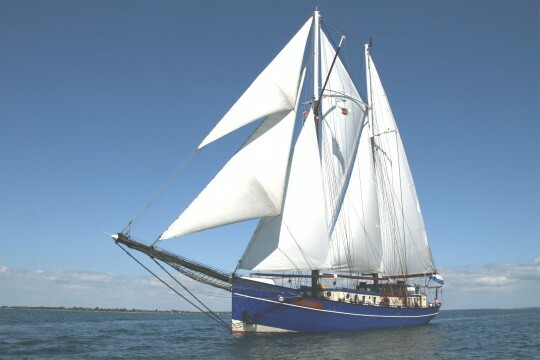 We offer various sailing trips, most of them on the beautiful Baltic Sea. Here you will find clear waters, an interesting sailing area with alternatively islands, sea and small harbours. And who says you can only find Azure Blue water and idyllic islands at the Carribean? Our ship is a traditional sailing ship from the year 1905. She’s been carefully restored and is maintained lovingly. Space and comfort are sufficiently present. In your cabin and at the deckhouse you’ll find rest, on deck you’ll meet friendly people or find you’re own place. Delicious fresh food is prepared in the galley. Sailing together, telling tall tales – on the Oban friendships are made, often lifelong….. The Baltic Sea is our favourite sailing area. Why? Because here you’ll find peacefull waters between the islands, a very divers coastline with beautiful spots to anchor, white beaches and clear water. Our routes are flexibel and we listen to the wishes of our guests. The wind determines our course and the waves give us rhythm. Take a look at our offer to sail individually for a day or a couple of hours. You can book our ship for your company or familymeeting for one day. Ask us for the possibilities.